Cloud computing has long since established itself an integral part of day-to-day digital life; from checking your emails to purchasing online, the security of web-based data in the cloud is old hat for industry techies. However, the recent rollout of the Chromebook and iCloud has introduced the concept of brand cloud computing to the mainstream, and with it, interest in cloud security has risen. Security and privacy – e.g. data protection, operational integrity, privacy management. Compliance – e.g. physical location of data centres, logs and audit trail handling. 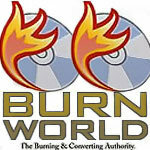 BurnWorld.com burnworld, burnworld.com, cloud computing. permalink. Ask Dave Taylor: Can I Read Kindle EBooks on my Windows PC?